Basilica Saint Pietro, Vatican City. 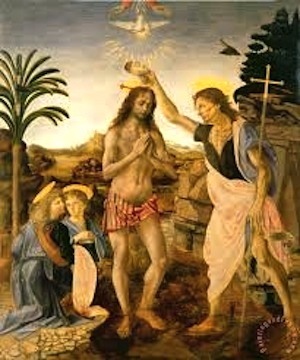 When John the Baptist began his public ministry in the reign of the Roman Caesar Tiberius in 29 AD, Herod Antipas, son of Herod the Great, was 49 years old and had been ruling the Galilee area for 33 years. Pontius Pilate was the Roman Procurator of all Judea and ruled over the small village of Beth Hakerem (meaning “House of the Vineyard”) near Jerusalem where John the Baptist was born in 6-4 BC. Today that village in the hill country of ancient Judea is called Ein Karem. 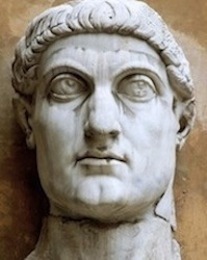 In c. 326 AD Emperor Constantine’s mother Helena made a trip to the Holy Land to identify Christian sites. 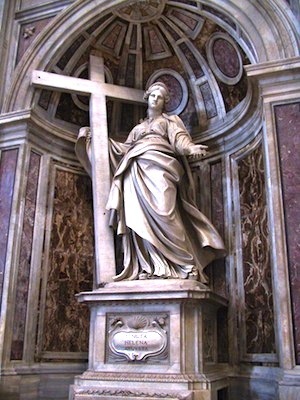 Helena supposedly found the cross on which Jesus was crucified and is typically painted/sculpted with the cross. 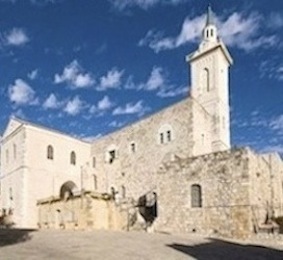 As a result of Helena’s discoveries, the Church of the Holy Sepulcher in Jerusalem, the Church of the Nativity in Bethlehem and a small church in Ein Karem commemorating John the Baptist’s home were built by her son Constantine. 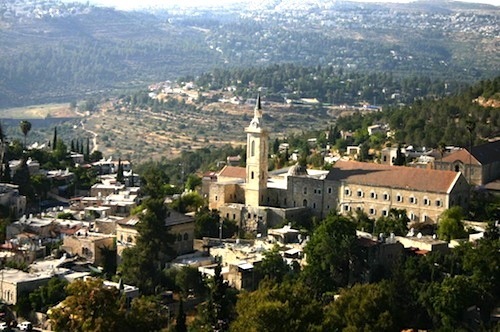 Christians have been making pilgrimages to Ein Karem, have built churches and monasteries there for the last 1,700 years and even in the early 21st century, over three million pilgrims/curious visitors a year make the trip to the small neighborhood in southwest Jerusalem to see where John, a relative of Jesus, was born. Notice in the above passage from the Gospel of Luke how exact Luke is in pinpointing the time when John began his ministry. 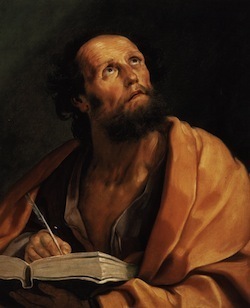 Luke was a doctor and thought in linear, analytical, precise terms. 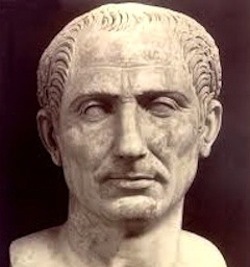 We know from extra Biblical sources when Tiberius was Emperor (14-37 AD). 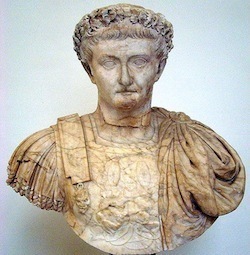 The fifteenth year of his reign was in 29 AD. Pontius Pilate was the fifth governor of Judea from 26-36 AD. 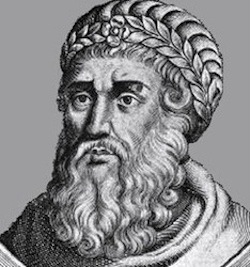 Antipas was Tetrarch of Galilee from 4 BC-39 AD. His half-brother Philip was Tetrarch of Iturea, Traconitis from 4 BC-34 AD and Lysanias was tetrarch of Abilene during the reign of Tiberius. 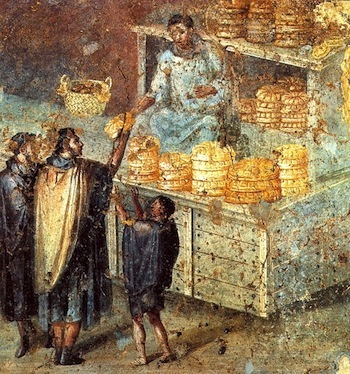 For centuries some scholars scoffed at Luke’s credibility regarding Lysanias because the only Roman record they could find was from a Lysanias fifty years before the Baptist’s time. That would, of course, have made the information about Lysanias not credible and would have put many things Luke wrote into question. But archaeology eventually validates Scripture and a temple inscription has been found: “For the salvation of the August lords and of all their household, Nymphaeus, freedman of Eagle, Lysanias Tetrarch established this street and other things.” “August lords” was an inscription given only to Tiberius, adopted son of Augustus, and to Tiberius’ mother Livia, Augustus’ wife. 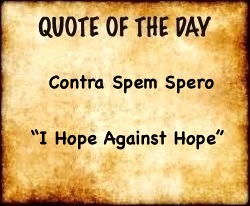 Thus the inscription had to be carved before Livia died in September of 29 AD. Lysanias, Tetrarch of Abilene, also, falls within Luke’s unfailingly accurate time slot. Caiaphas was high priest from 18-36 AD and Annas had been high priest and still wielded considerable power. The only date that fixes exactly when John began his ministry is the year 29 AD of Tiberius’ reign, but the dates of the other men all fall within the 29 AD range.